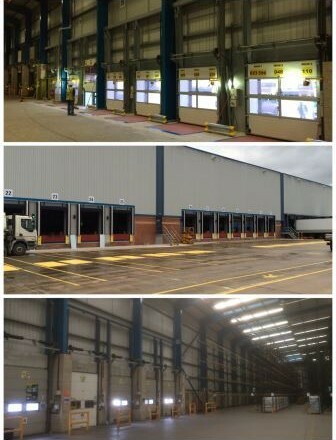 Woodgreen completes a project for Wm Morrisons Supermarkets at the Wakefield Depot. This scheme was a fast track, all-encompassing back of house project to create 14nr dock levellers to an existing warehouse facility, which also included new metal external escape staircases and associated line markings. The restrictive working space and restrictions inside the warehouse, necessitated an attentive approach to the phasing and coordination of the works.